This season is no exception – colourful leather meets sculptural metal heels, square toes and tinted PVC, off-kilter elements that, at the hands of Saldaña, become surprisingly wearable. Why do I want it? Saldaña’s dedication to creating footwear of the highest standard is part of her unique appeal – she cites Miuccia Prada as “a kind of north star,” someone who manages the “balance between trends but also functionality and quality”. For her own brand, this meant a close partnership with a factory outside of Porto, Portugal. “Every step of their process is hand done,” she says. “I think the craftsmanship and the artisanal aspect of the way the shoes are made is really important. A lot of the shoemakers are in their 50s and 60s, it’ll be interesting to see what the new generation is like. Young people, people of my generation don’t really take on that kind of labour – it’s nice to be able to continue the craft.” In addition to the dedication to quality, the price point is satisfyingly reasonable, with all current pieces sitting somewhere between £250 and £500. In a turn away from the brand’s New York roots, the latest collection was shot by Gillian Steiner in Los Angeles, fuelling the feeling that this collection has been designed with summer in mind. The stand-out pieces this season are a troop of 90s-style square-toed mules in varying shades of rainbow PVC, sitting atop curled hunks of metal. As the daughter of an industrial designer, the use of raw, more unexpected materials like this came naturally to her. 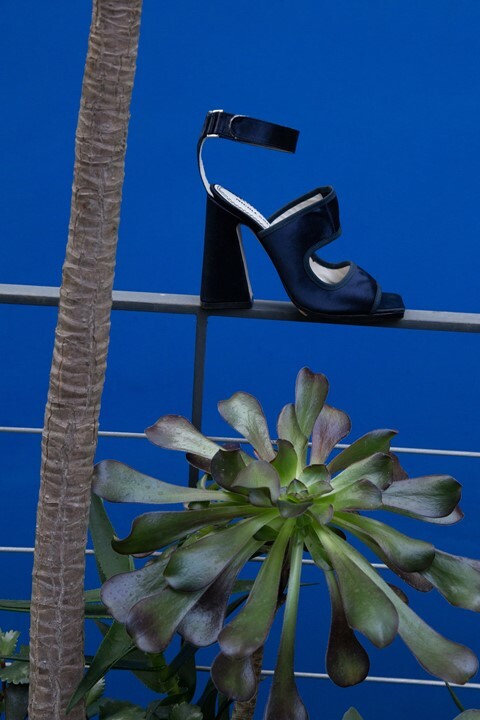 “I love the moulded metal heel, the Sarah.” Saldaña says. “This year I’d been looking at a lot of mid-century furniture. The idea of material combinations, paring things back to chrome and natural fabrics is what I really like. 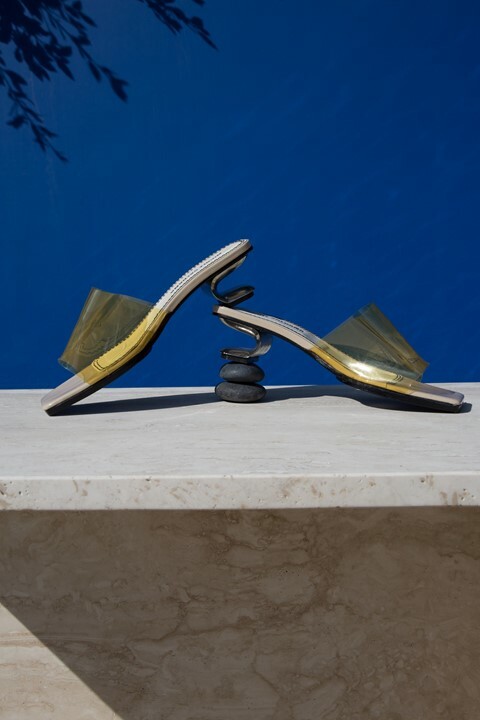 Design has always inspired me more than art.” The coupling of Saldaña’s respect for both smart design sensibilities and straight up fun fashion has allowed her to successfully create shoes that are altogether exciting, yet wonderfully easy to wear – no mean feat. Where can I find it? Online at Nicole Saldaña, Opening Ceremony, Farfetch and in selected stores, including Harvey Nichols where it launches March 1, 2018.